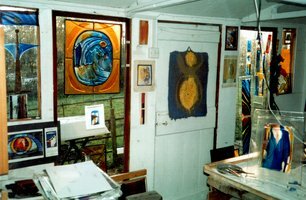 Each September, Tessa participates in the Open Studio project organised by Hertfordshire Visual Arts Forum, where visitors can come and see the artist at work in her colourful studio every weekend from 11am-6pm . 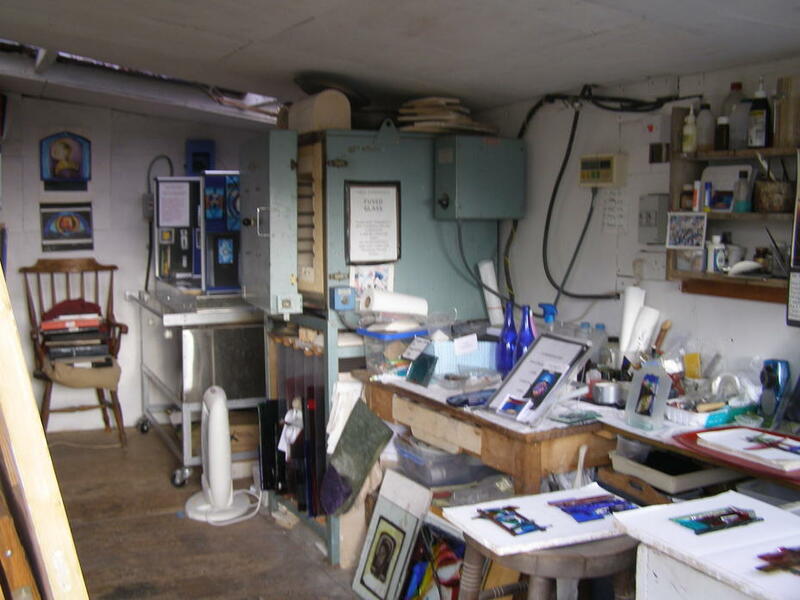 Artworks and products are available for purchase and make ideal gifts, ranging in price from £5 up to £250. 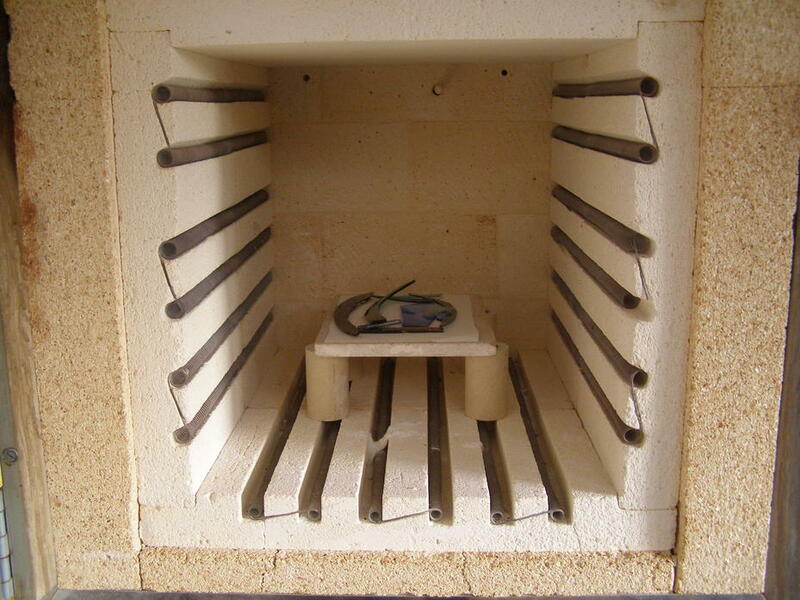 If you would like to come and see Tessa's work, please get in touch. 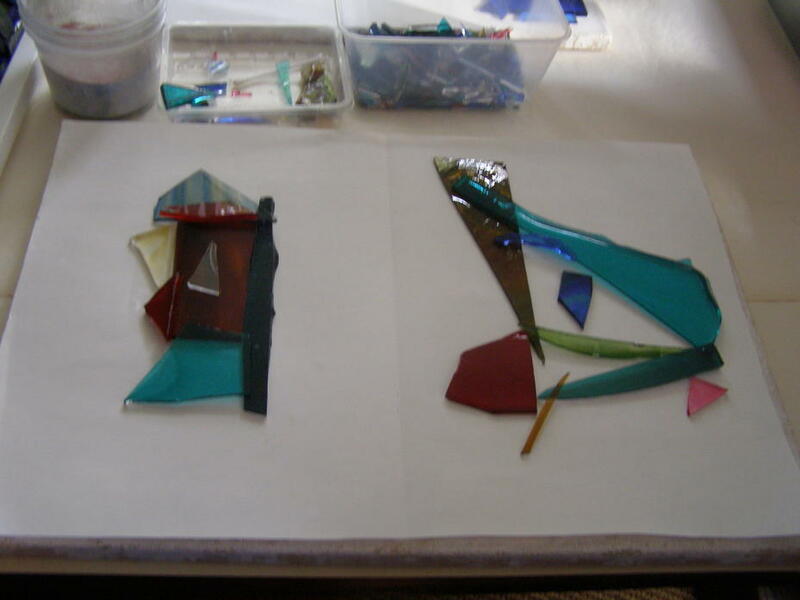 2-4pm Saturday 10th March 2018: Try your hand at a Fused Glass workshop using pre-cut glass for people to make their own A5 illuminated piece for hanging in a window or stand. 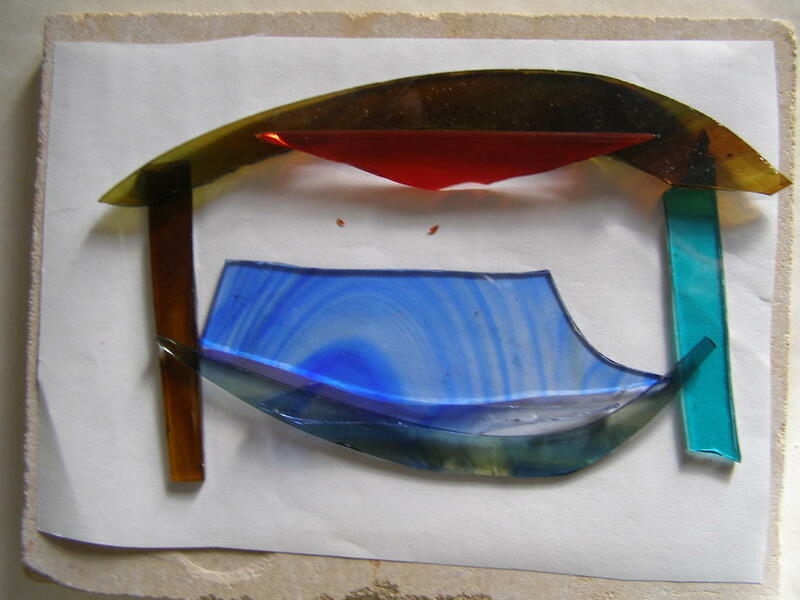 Cost: £25, with Tessa Verrecchia at her Fused Glass Studio, Michael's Folly, near Hertford. Tea and cakes will be served. 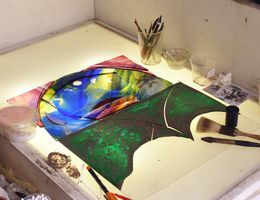 Tessa also gives workshops in her studio by appointment, for up to six people to learn how to make their own glass pieces. 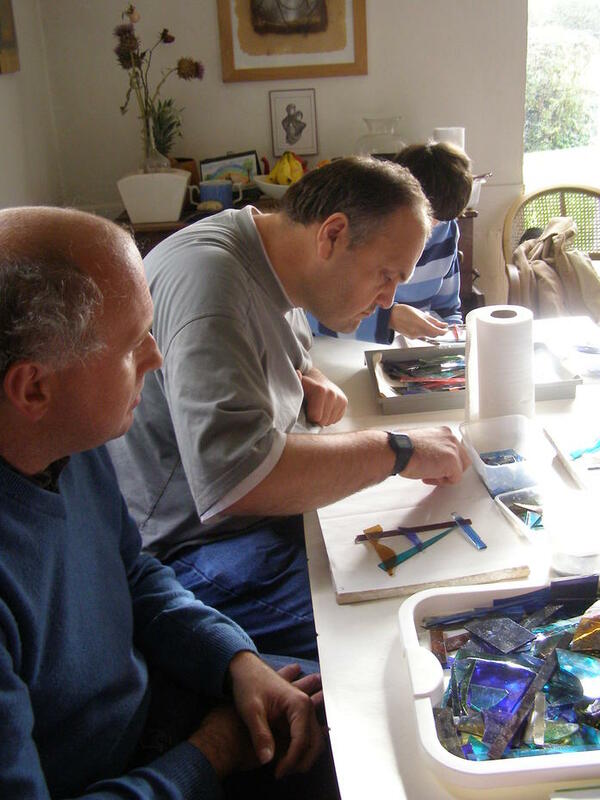 On Saturday 9th November 2013, from 11:30am-1:30pm, Tessa gave a fused glass workshop using pre-cut glass for people to make their own A5 piece for hanging in a window or stand. 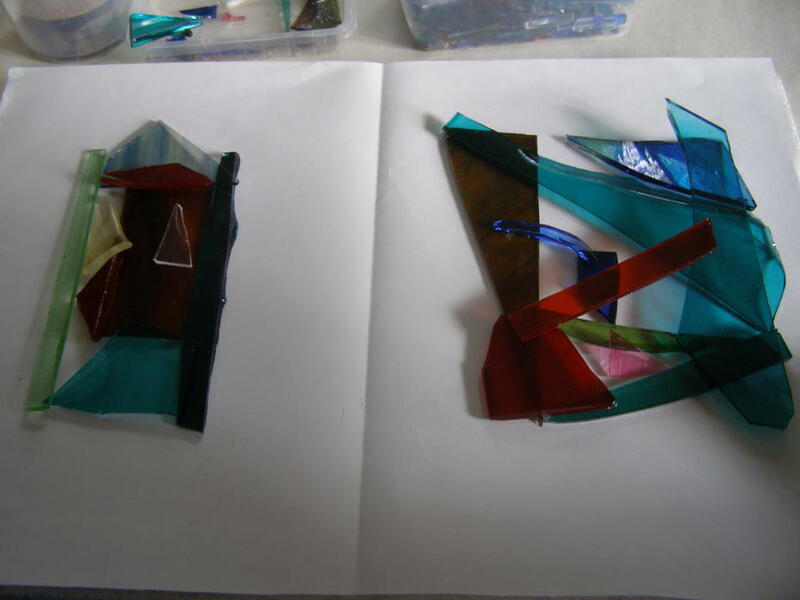 On Saturday 22nd June 2013, Tessa gave a fused glass workshop (including lunch) as part of Love Architecture Fest, followed at 3pm by a demonstration of Indian Classical Dance by her daughter Fabrizia, ending with afternoon tea and cakes in The Yurt. See Page 2 of this flyer for more details. 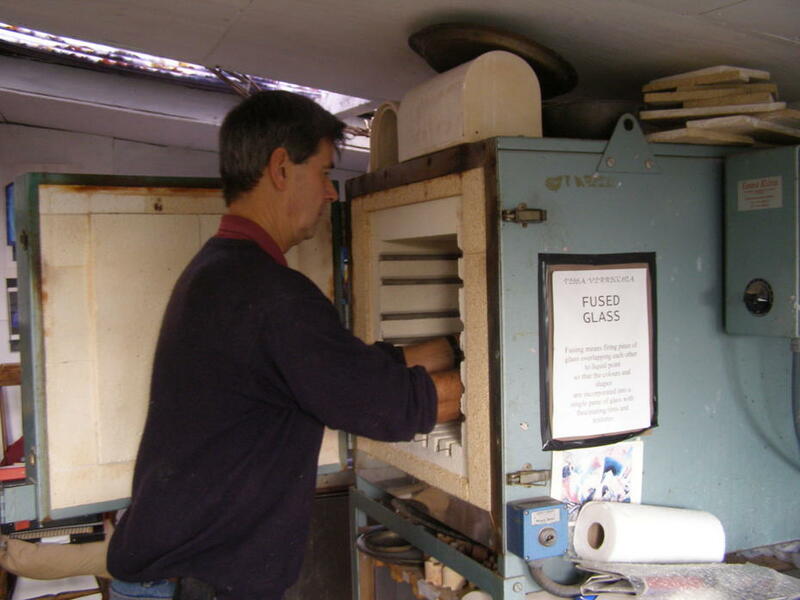 In 2008, she taught a workshop for sixth-form students on how to fuse glass. 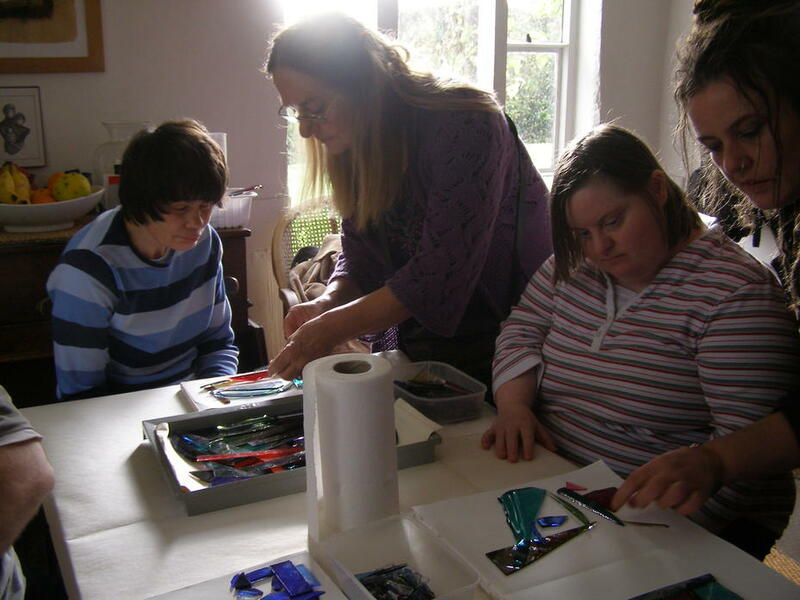 They were able to see the design of a window in progress for Danesbury Home, for which The Herts Open Studio Community Project have kindly donated money. 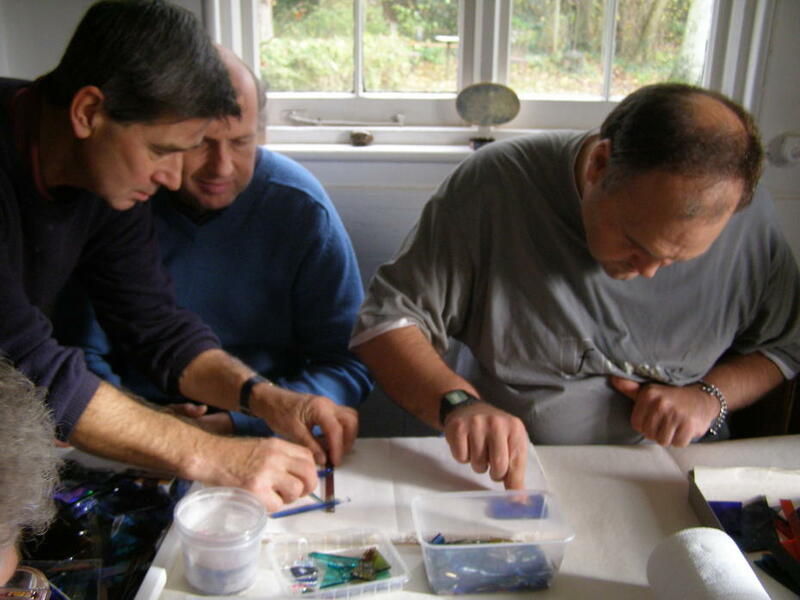 In November 2009, people from the Hornbeams Adult Day Centre came and created fused glass works.